Other attributes of this pig year signify abundant material and financial success, along with a wealth of rich social interactions and relationships. Indeed, we’re being given the choice to rewrite the new story of our lives as sacred artists working on the grandest vision yet - the beautiful legacy of our lives. Being the year 2019 (2+0+1+9 = 12 = 1 + 2 + 3) we are entering the time of the TRINITY. From the sacred communion of polarity (divine masculine'/feminine) is birthed the trinity (or divine child). After a year in which other people’s needs may have eclipsed your own, the 3 year is the time to ask - WHAT DO I REALLY TRULY DEEPLY DESIRE? Giving yourself permission to actually own your desires in all areas of life is paramount. Release any shame or guilt around having what you want because the stars are very aligned to fulfill anything you desire. What comes through is that COMPLETE & UTTER HONESTY about what is working and what is not working in your life is key. Make 2019 the year you build impeccable honesty and communication with yourself and all those you connect with. The more you authentically express your emotions, feelings and thoughts, the more you create a space of genuine intimacy, relating, and depth. The more you ask for what you really want, the more likely it is that you’ll receive it. You will have to feel what you are feeling and express those emotions in a way that is natural for you. Only then can you know what you want. Happiness is a feeling – an emotion – which can only come from inside, and there will be at least one opportunity this year to feel JOY as you have never felt it before. Just keep in mind that it takes courage to express this level of radical honesty - with yourself and others - and that will not come about without facing some kind of fears. Courage is the acceptance of fear and the belief that you can deal with, or get through, whatever is causing it. 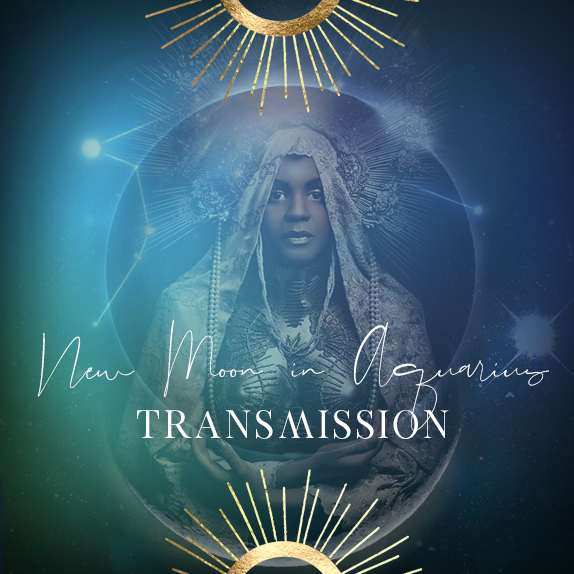 As featured in Chani Nichols' recent astrology report, “Aquarius isn’t here to hog the spotlight, but would rather shine it upon the answers and ideas that the group might benefit from the most. In this way, Aquarius usually earns attention for its intellectual prowess, but it’s never the main motivation. Bringing with it a fresh start, this new moon is the first in 2019 that is free of shadow. January was consumed with both a lunar and solar eclipse, neither of which were open to interpretation. Eclipses tend to dominate the scene with their agenda. This new moon is more of a clean slate for us to work with and will perhaps feel like the first new moon of 2019. This new moon also ushers in the Lunar Chinese New Year, and brings us into the Year of the Pig. Devoted, generous and compassionate, the Year of the Pig will hopefully teach us much about its attributes. The more responsibility you’ll feel for them. The more you’ll work towards manifesting them. The more you see yourself as a care-taker of them, and a protector for all that is possible through them, the more emboldened you’ll feel to risk what is necessary to bring them about. Anyone who is successful is always asked how they got there and, more often than not, they’ll tell you it began with a feeling, knowing, or dream and the clarity to take it seriously. May this new moon help you communicate with that kind of inspirational certainty. GUIDING THEMES & QUESTION: Where am I placing my energy this year? AFFIRMATION: I give myself permission to listen to the inner flames of my desire and that which lights me up. Drop into your heart and come into complete relaxation. Open your journal to a page, and write down a minimum of one answer per question. WHAT DO I DEEPLY DESIRE TO EXPERIENCE IN MY HEALTH & WELLBEING? What fears, shame or guilt may I still be carrying around experiencing this??? Honouring that this fear and shame derives from story, how can I rewrite a new narrative? 2. WHAT DO I DEEPLY DESIRE TO EXPERIENCE IN MY CAREER? 3. WHAT DO I DEEPLY DESIRE TO EXPERIENCE IN MY INTIMATE RELATIONSHIPS? 4. WHAT DO I DEEPLY DESIRE TO EXPERIENCE IN MY SEXUAL LIBERATION? Then, underneath each….write down an action that will facilitate and support that desired experience. It could be as simple as setting aside 10 minutes a day to meditate on your sexual pleasure, or even registering for a course that will aid in that vision. Open up your calendar and schedule when you will accomplish each action. I hope this aids your New Moon Manifestations and the expression of your deeper desires for this month and the rest of the year. Join me and an intimate group of women online in exploring and healing the relationship to our mystical and sensual self through creative expression and soul communication. • Sacred sisterhood. You’ll be connected with a small group of women to explore the divine themes through discussion and group projects.